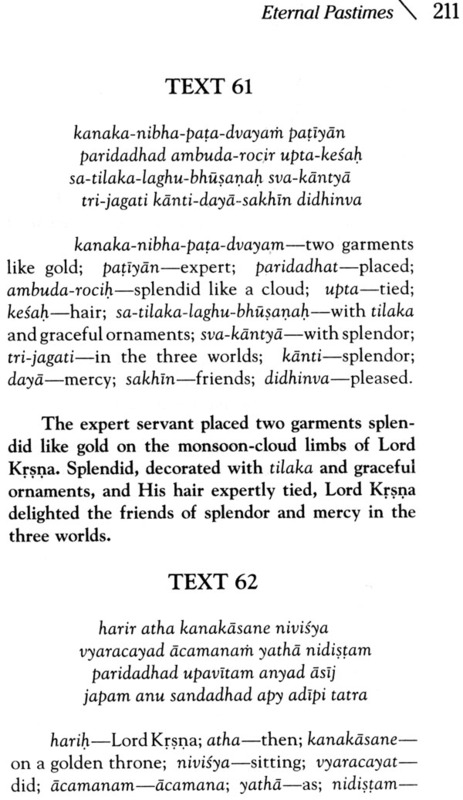 Sri Sankalpa-kalpavrksa, describes how after killing Dantavakra, Lord Krsna returned to Vrndavana. Seeing Him again, the residents of Vrndavana enjoyed even greater happiness than before. 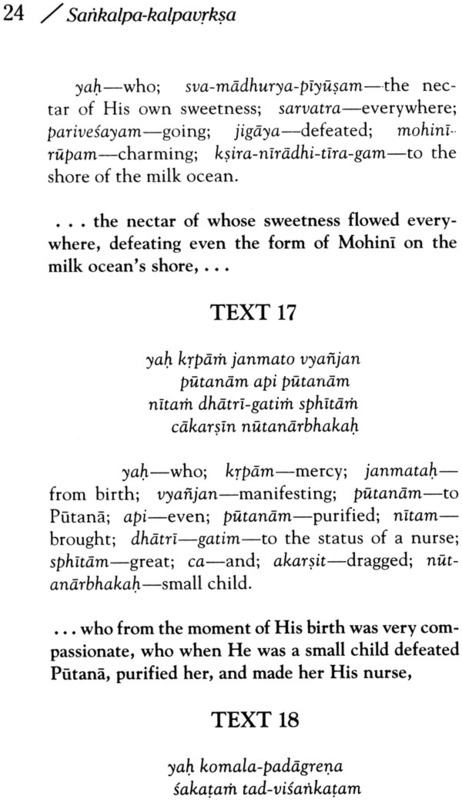 The second chapter describes the eternal pastimes of Lord Krsna. 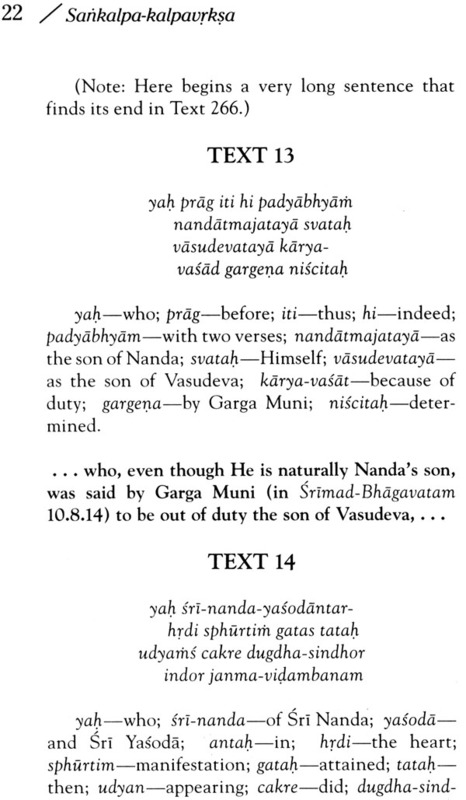 There it is said that within the realm of Vrndavana manifested on the earth, there is an unmanifested realm of Vrbadavana, invisible to ordinary eyes. 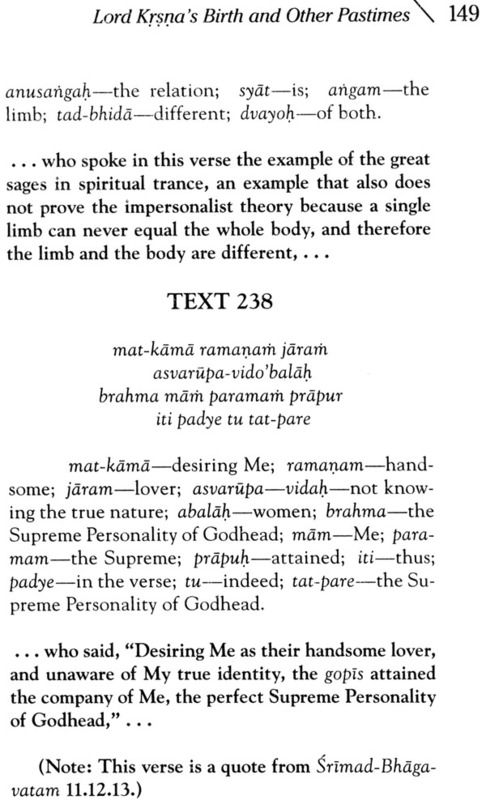 Here is a very vivid and enchanting description of that eternal abode of the Lord along with descriptions of the pastimes He performs there. 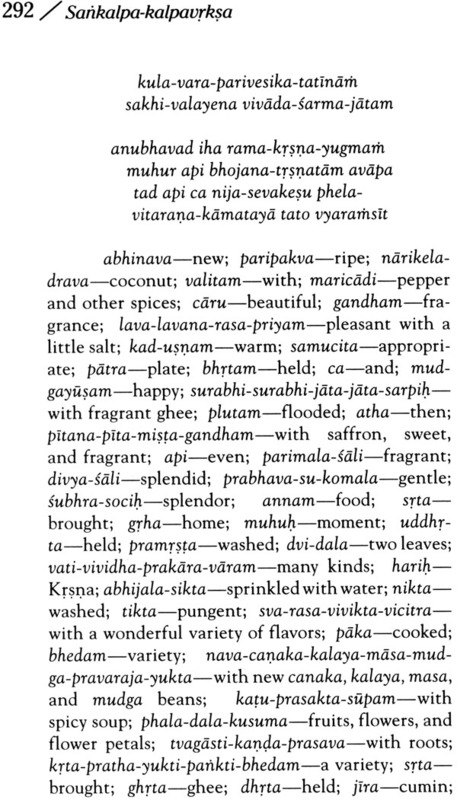 Kusakratha Prabhu has given us a very wonderful English translation of this sublime work, wherein the author, Srila Jiva Gosvami, Prays that his mind may always be absorbed in remembering these descriptions of Vrndavana and the pastimes of Lord Krsna there. 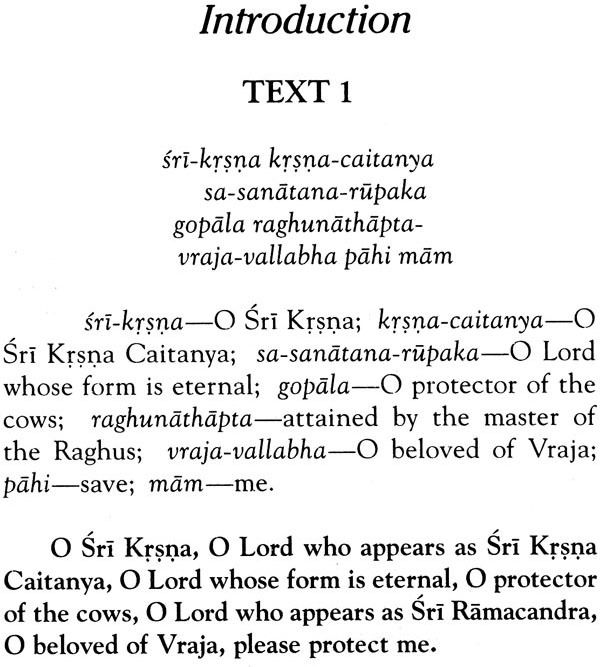 In the Purport of Sri Caitanya-caritamrta (Adi 10.85), Srila Prabhupada wrote: In the Gaura-ganod-desa-dipika (195) it is said that Srila Jiva Gosvami was formerly Vilasa-Manjari gopi. 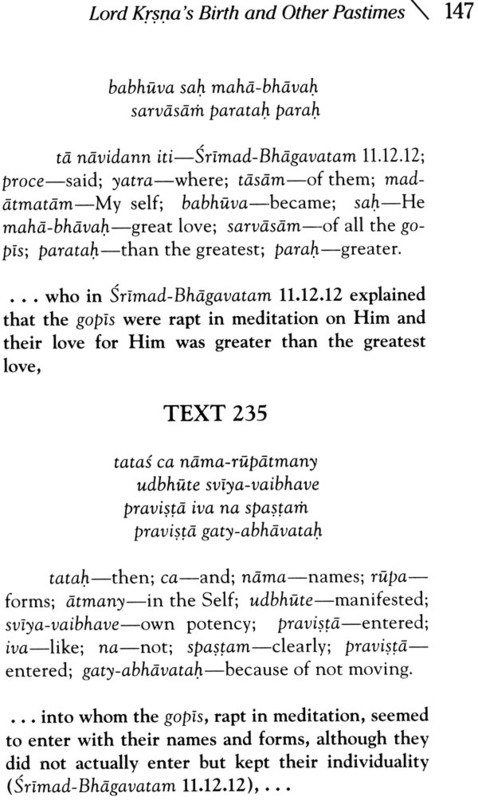 Form his very childhood Jiva Gosvami was greatly fond of Srimad-Bhagavatam. 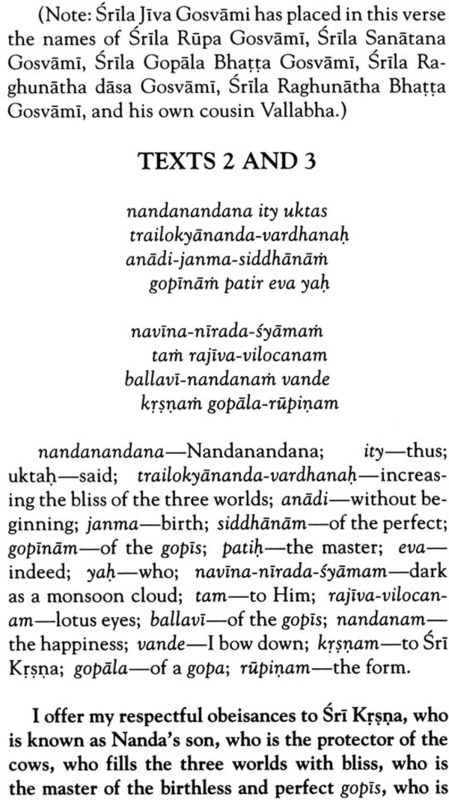 He later came to Navadvipa to study Sanskrit, and following in the footsteps of Sri Nityananda Prabhu, he circumambulated the entire Navadvipa-dhama. 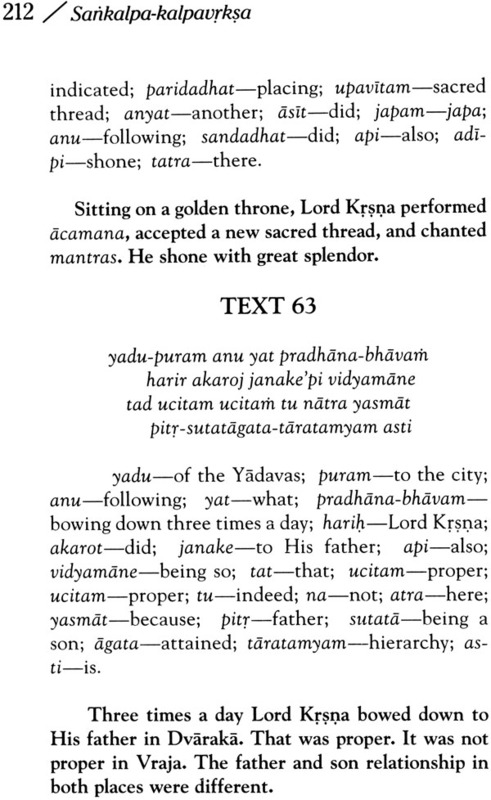 After visiting Navadvipa-dhama he want to Benares to study Sanskrit under Madhusudana Vacaspati, and after finishing his studies in Benares he went to vrndavana and took shelter of his uncles Sri Rupa and Sanatana. 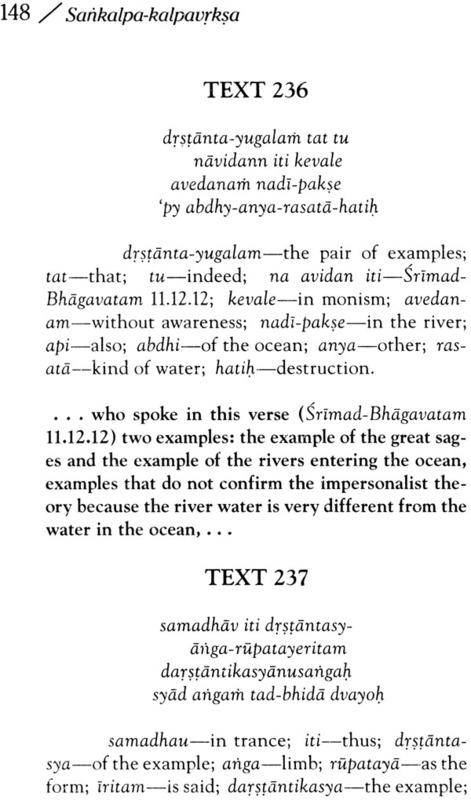 This is described in the Bhakti-ratnakara. 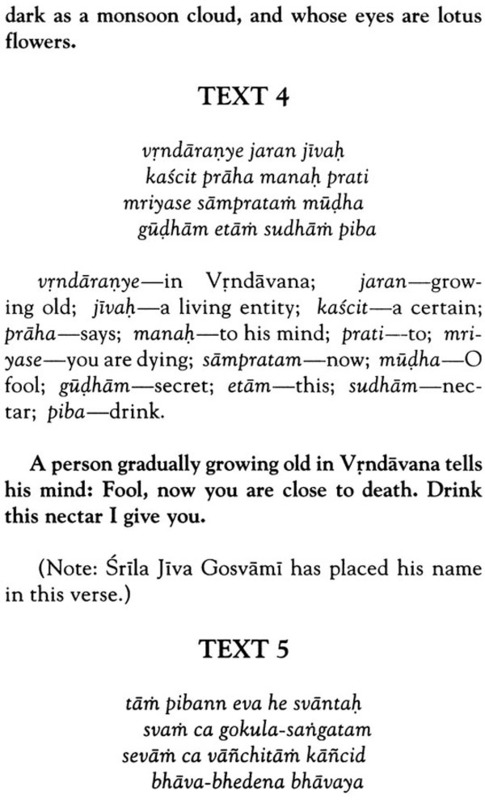 As far as our information goes, Srila Jiva Gosvami composed and edited at least twenty-five books. 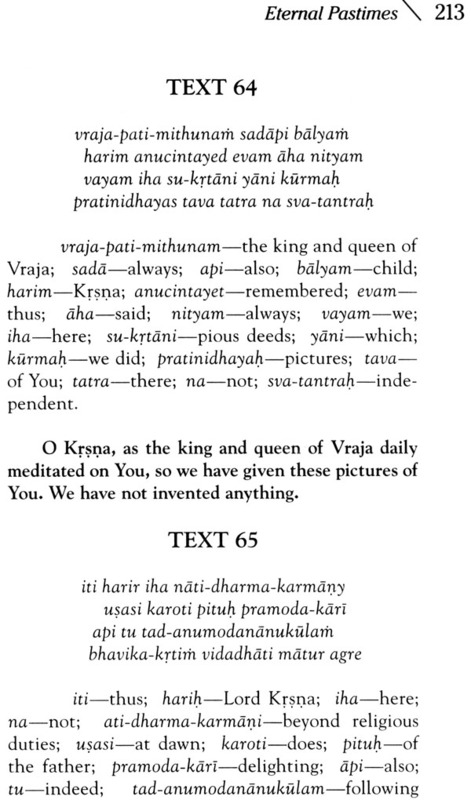 They are all very much celebrated and they are listed as follows: (1) Hari namamrta-vyakarana, (2)Sutra-Malika, (3) Dhatu Sangraha (4)Krsnarca dipika (5) Gopala-virudavali, (6) Rasamrta-sesa (7) Sri Madhava-mahotsava, (8) Sri Sankalpa-Kalpavrksa (9) Bhavartha-sucaka-campu, (10) Gopala-tapani-tika(11) a commentary on the Bhakti- rasamrta-sindhu (13) a commentary on the Ujjvala-nilamani (14) a commentary on the Yogasara-stava, (15) a commentary on the Gayatri Mantra as described in the Agni Purana (16) a description of the Lord lotus feet derived from the padma Purana, (17) a description of the lotus feet of Srimati Radharani (18) Gopala-campu (in two parts) and (19-25) seven sandarbhas: the Krama, Tattva-Bhagavat-Paramatma-Krsna-Bhakti and priti-sandarbha. 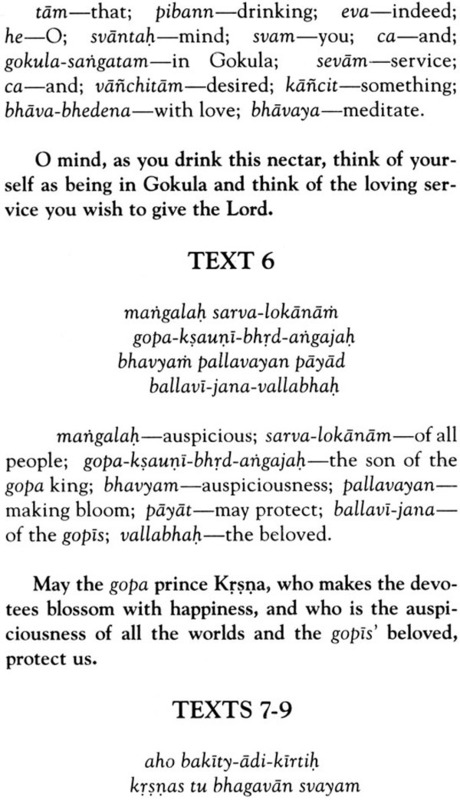 After the disappearance of Srila Rupa Gosvami and Sanatana Gosvami in Vrndavana, Srila Jiva Gosvami become the acarya of all the Vaisnavas in Bengal, Orissa and the rest of the world and it is he who used to guide them in their devotional service. 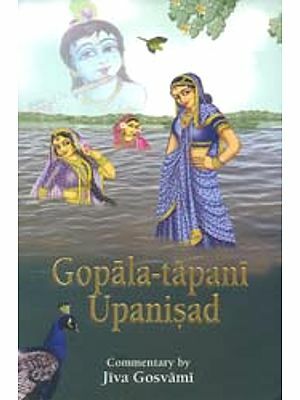 This Book Sri Sankalpa-Kalpavrksa describes how after killing Dantavakra Lord Krsna returned to Vrndavana. Seeing Him again the residents of Vrndavana enjoyed even greater happiness than before. 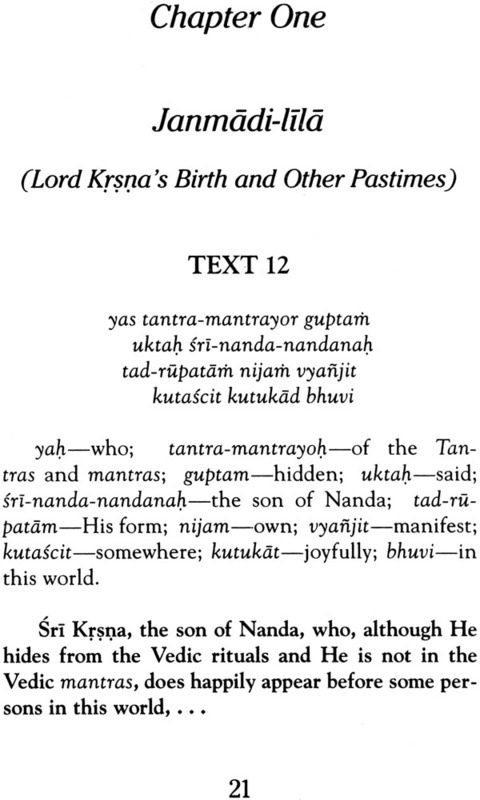 The second chapter describes the eternal pastimes of Lord Krsna. There it is said that within the realm of Vrndavana manifested o the earth there is an unmanifested realm of Vrndavana invisible to ordinary eyes. 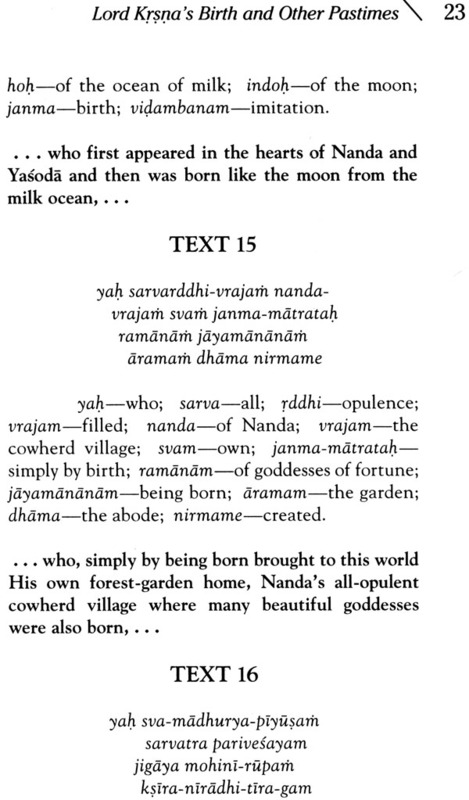 Here is a very vivid and enchanting description of that eternal abode of the lord along with descriptions of the pastimes He performs there. 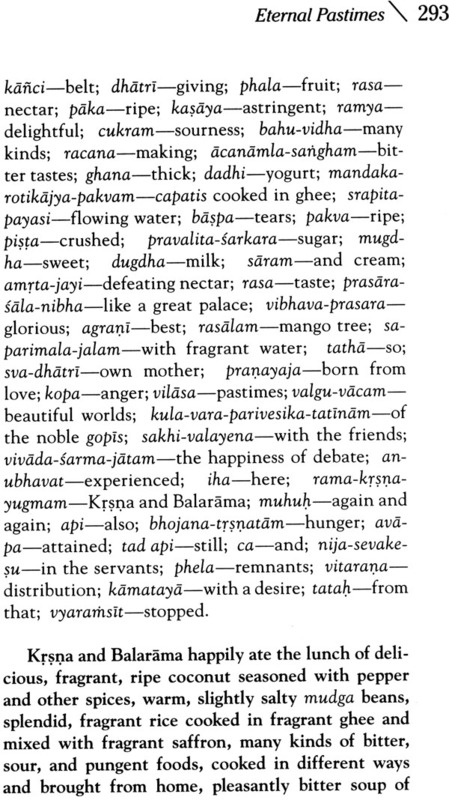 Kusakratha Prabhu has given us a very wonderful English translation of this sublime work wherein the author Srila Jiva Gosvami prays that his mind may always be absorbed in remembering these descriptions of Vrndavana and the pastimes of Lord Krsna there.